 Many More Pictures available on our direct website listing. 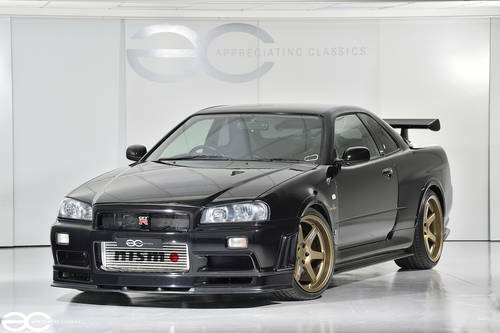 Here we are offering, what some regard as the ‘Ultimate Skyline GTR’ – A Nissan Skyline R34 GTR V Spec II R-Tune – one of only 25-30 cars converted by Nismo themselves at the Omori Factory. If you are reading this advert, then the chance’s are, you are familiar with the R34 GTR range, and in particular the Nismo variants such as this – however, if you are not familiar with these then read below where we will elaborate further on the details of these models. Nismo R1 engine (detailed below in further detail), Nismo intercooler, Nismo twin plate clutch, Nismo R-Tune adjustable suspension, Nismo suspension arms, Nismo underside chassis braces, Nismo Titanium front strut brace, Nismo Titanium exhaust, Nismo LED rear lights, Nismo carbon b pillar & rear view mirror garnish, Nismo multi function display. With invoices totalling over £19,500.00 for recent works you can rest assured no stone has been left unturned. The underside of this example is spectacular – we would go as far as saying it could be considered Concours. The Nismo R1 engine (part of the R-Tune package) has just had compression test/cylinder leakage test carried out with great results – we have video of these being carried out. 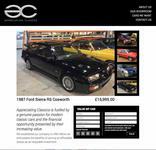 A genuine Nismo R-Tune in great condition throughout, these cars are extremely rare and very sought after with it being rumoured that Nismo only converted around 25-30 R34’s with the R-Tune package at their Omori Factory. The mileage is higher than what we would usually see here at Appreciating Classics, at 118,799 miles, but the Nismo R-Tune conversion was carried out at the Nismo Factory with 61,937 miles showing, meaning the R1 engine, R-Tune suspension etc have all covered only 56,862 miles. 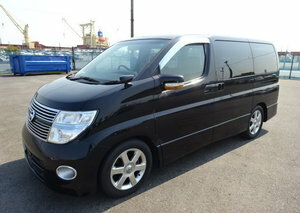 To add to this, the mileage was covered in Japan which means the chassis was in very good order when arriving in the UK. 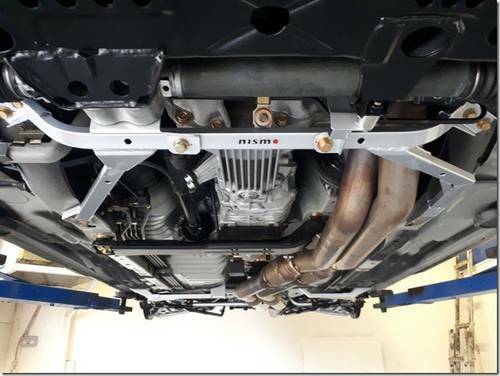 Since arriving in the UK the car has undergone a full professional underside refresh with every underside component’s being either replaced for new, or being cleaned and re-plated in the correct finish, this was carried out across the entirety of the car, including suspension, brakes, heat shields, alloy components, engine, engine bay and this means that what we have here is a stunning example throughout. 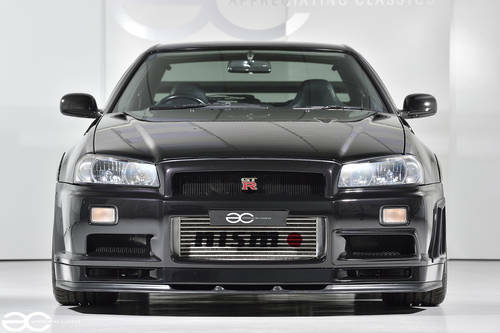 Only 25 – 30 R34 GTR’s were converted to R-Tune Vehicles by Nismo themselves at their Omori Factory, and this is one of them vehicles. 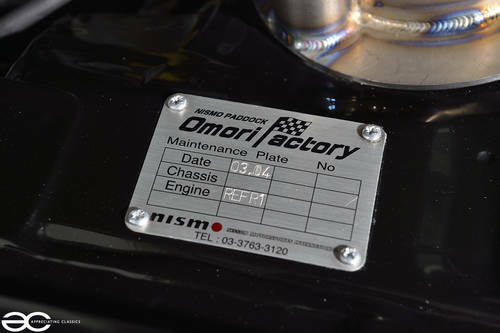 Within the history file is the Japanese service history, along with the Omori Factory certificates which correspond with the Omori Factory plaque in the engine bay. Three keys are present also, and all this is contained within the Nismo wallet. Various invoices are also present, showing the expenditures since the car came in to the UK, to make it one of the best available examples. As well as these works, the car is freshly serviced, all fluids, belts, brake pads, tyres etc are all very recent and the car is ready to be enjoyed. Having just benefited from a full three day detailing session, the bodywork of this example really does look fantastic, and extremely aggressive in the GV1 Black Pearl. The usual areas to look at on the R34 GTR are all very good, plus the front splitter is in great order, the carbon rear diffuser is in very good condition and the headlights present very well without the usual ‘crazing/cracking’. The original Carbon bonnet is still in place, and in very good condition, with a lovely carbon weave evident across the panel. Many Nismo parts are present, including the Nismo rear light internals which look absolutely fantastic. Nismo carbon fibre b pillar covers are also fitted, and are as new. 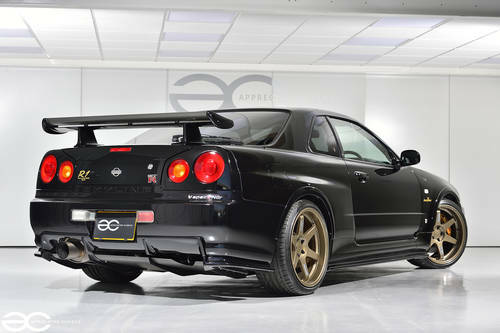 Nismo wheel arch spats are fitted and help set this example apart from most R34 GTR’s. The Ray's Engineering alloy wheels are a perfect addition to the R34 GTR, giving a nice aggressive and modern look, especially in the contrasting Bronze finish. The wheels are completely unmarked as you would expect, and are spotless front to back. A beautiful example of a very rare car indeed. The interior of this car is as per the rest of the car… fantastic. 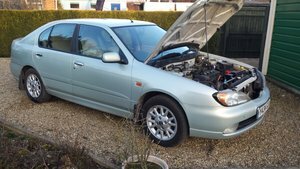 You could genuinely be forgiven for thinking the car had covered only 20k miles from new. 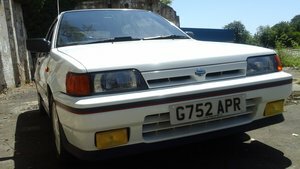 Open the door of this R-Tune and you are aware that you are stepping in to, what is arguably the ultimate 90’s/00’s Japanese Performance Machine. Until the V Spec II the R34 had not seen the black trim, and it suits the car perfectly, along with the aluminium pedals, Nismo clocks, and of course the LCD multifuction display which works perfectly and is in fact the Nismo Multi Function Display, with the lap timer switch in place next to the gear stick. Unlike many of these MFD’s, this one presents very well. A carbon fibre Nismo rear view mirror cover is also fitted. 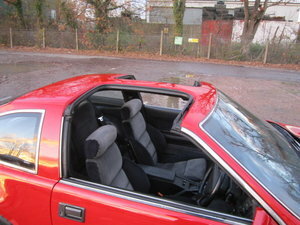 Original floor mats are still in place, GTR sill plates are in great condition, and all seats (with the addition of the optional side airbags) are in superb condition, with the drivers seat bolster retaining its shape, and still being firm as you would hope. The legendary RB26DETT is regarded as one of the best engines to come out of Japan. However, this example is even more special, being a Nismo R1 engine, with the R standing for – you guessed it – RACE. Highly regarding as the best variant of the RB26DETT, the differences between this and standard RB26DETT are vast. The engine block itself is based on the N1, with the benefit of lightening and balancing. On top of this, the Pistons, Piston rings, Oil pump, Bearings, Gaskets, Exhaust manifold, Turbo chargers, Turbo downpipes, Camshafts, ECU, Spark Plugs, Air flow meter, Intake, Air filter, Intercooler and Oil cooler are all changed as part of the package. With a claimed 449bhp, make no mistake, this is a fast car and still a truly capable car even by today’s standards, not only this, with all the upgrades being Nismo you can rest assured that it is reliable power. The engine within this example has had full leakdown testing carried out with video footage, and is a very healthy example with only 56,862 miles covered. The car sounds fantastic, thanks to the extremely sought after Nismo Weldina Titanium exhaust, with no smoking either on idle, on boost or on overrun. On the road, the engine is very smooth, with clean and strong acceleration through the rev range just as you would expect. The engine bay itself presents very well, having just benefited from an engine out refresh, with various parts being replaced/renewed or re-plated in the correct finish you would think that the car had covered 20k miles only. Of course, this car drives fantastic…it is a R34 GTR so you expect it to impress and it does not disappoint. With the addition of the Nismo R-Tune adjustable suspension, Nismo suspension arms, Nismo underside chassis braces, Nismo Titanium front strut brace and subtle brake upgrades, the handling and braking is sublime, you can rest assured the handling is genuinely very impressive even today. As can be seen from the pictures (we have many more if required) the underside condition, and all running gear is in extremely good condition throughout – this is the kind of car you would proudly lay a mirror underneath at a Japanese Car Show if it takes your fancy. No unwanted noises at all when on the road, just a pure pleasure to drive with great braking and handling capabilities. The Nismo twin plate clutch operates very well, as does the gearbox and are an absolute joy to use, being user friendly yet performance orientated.